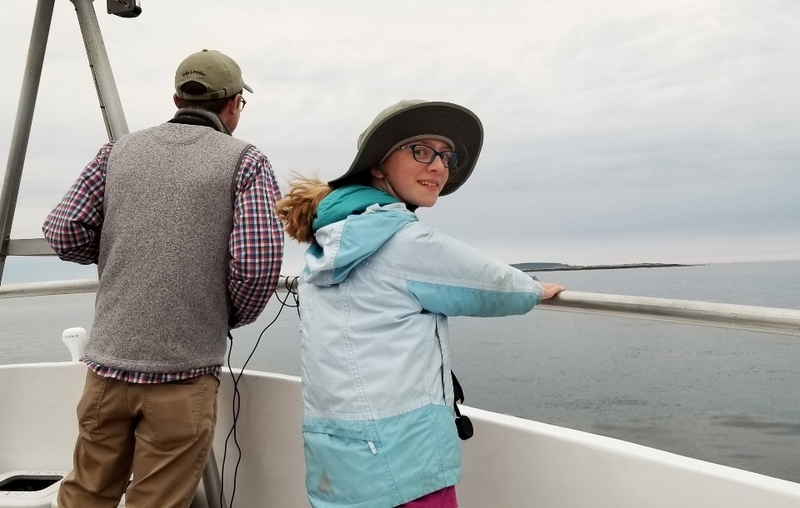 On Saturday, July 14th, four of our young birders and their families set out on the Maine Audubon Puffin Cruise into Muscongus Bay to Eastern Egg Rock. The island is home to the world's first restored seabird colony. The restoration of Eastern Egg Rock has been replicated worldwide to help endangered and threated seabirds. On the ride out to the island, Captain Al gave a brief overview of the history of puffins and what makes this tiny, 7-acre island so important for in their continued breeding success. Last year there were over 175 breeding pairs of Atlantic Puffins on the island. 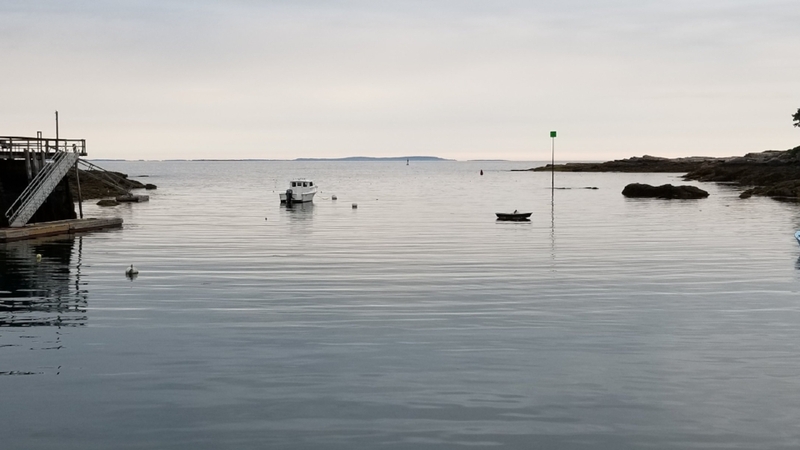 Eastern Egg Rock is known as the most easily-accessible Maine island for observing nesting Atlantic Puffins. As we approached the island, we were greeted by one of the researchers waving from atop their cabin. From mid-May to mid-August, 4-5 people live on the island to monitor the nesting colonies of the birds. One of our young birders was the first to spot a puffin sitting on the water! Everyone jumped into action to see the football sized bird. The group was treated to many more spectacular sightings including several rafts of puffins floating very close to the bow of the boat. Laughing Gulls, Black Guillemots (the MYBC mascot!) and Common Terns were plentiful, and we saw a single Roseate Tern sitting on a rock. Other highlights were the island roost covered in Double-crested Cormorants, a female Common Eider with a brood of chicks, and the raucous calls of the Laughing Gulls as they flew around the island. While birds were our focus, we also took some time to appreciate sighting of Harbor Porpoises and Harbor Seals! 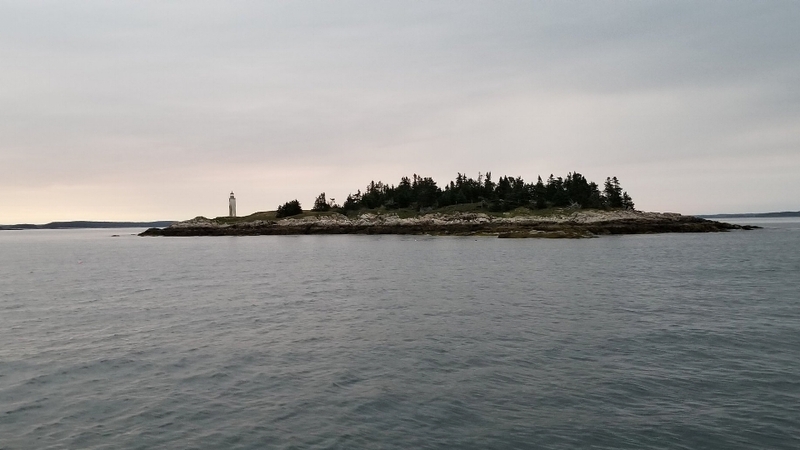 On the return trip Captain Al took the group by Franklin Light to view the 3rd oldest lighthouse in Maine. MYBC wants to give a huge thank you to Maine Audubon for sponsoring this trip for the young birders and club coordinators. Also thanks to naturalist Doug Hitchcox for sharing his expertise with the young birders and parents! We appreciated his excellent leadership on this trip.